This week started off with the good news that the article I wrote on style, fashion and theology – from Paul Tillich to “Project Runway”! – is now up on the Transpositions blog. (Check out the article here.) If you haven’t visited the Transpositions site before, it’s well worth exploring; it’s run by doctoral students from the Institute for Theology, Imagination and the Arts at the University of St. Andrew’s in Scotland. They have had some great themed discussions on aspects of theology, art and creativity in the past, and are really fulfilling their mandate of creating a space for dialogue about faith and the arts on the web. 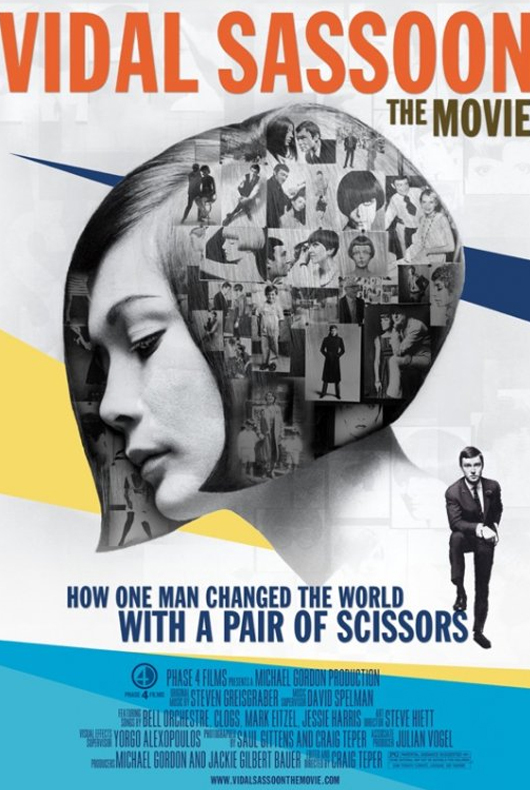 As an addition to what I said there, I also want to recommend a great documentary we just watched on Vidal Sassoon. He’s had a fascinating life, and truly deserves to be called a style icon. I enjoyed seeing him in his boyhood synagogue. 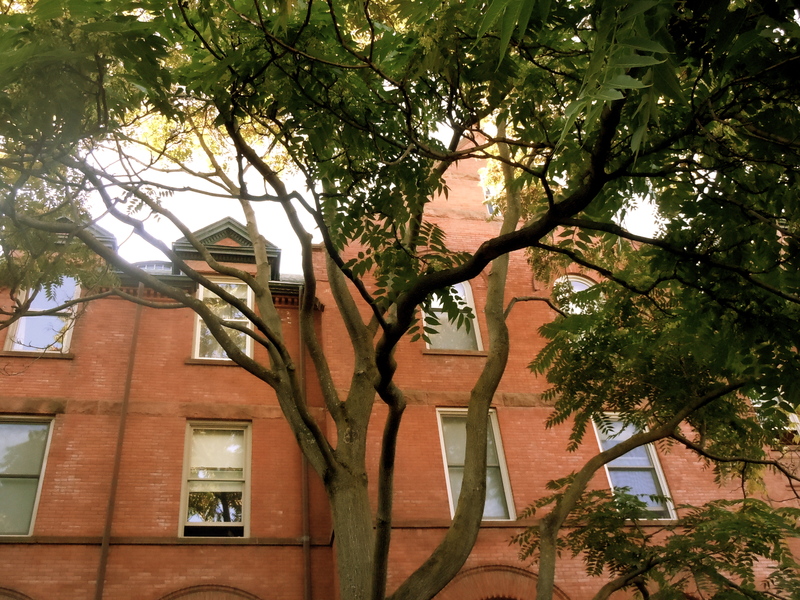 In other news, last week was my first week of classes back at TST, and so I took a few photos around campus. I make no claim to be a great photographer, so be forewarned! 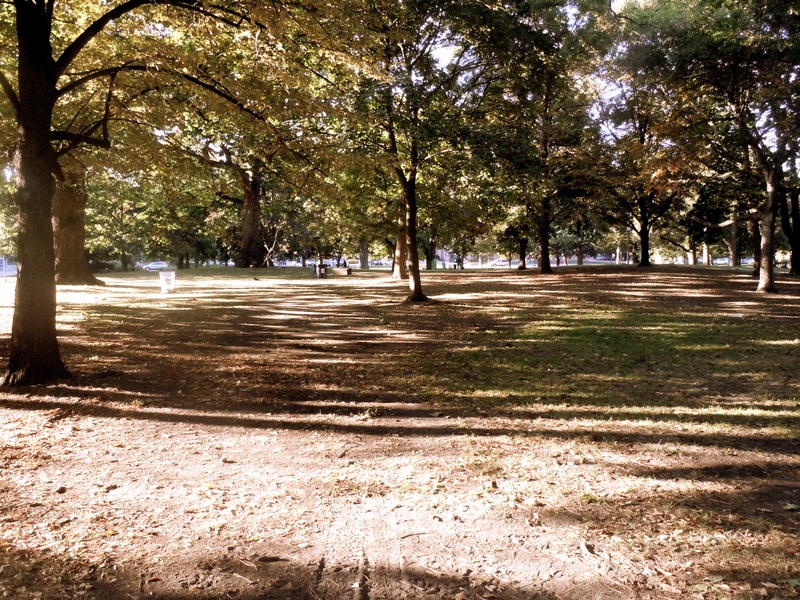 Some trees in Queen’s Park, right across the street from the Toronto School of Theology building. This is Wycliffe College, or more specifically a tree outside of it. My home college is St. Michael’s but I am taking a course called “The Church Evangelical and Catholic” at the Anglican college. Finally, a very U of T view… the Trinity College chapel (my favourite spot on campus on the inside) with Robarts library towering in the background. It has 14 floors full of incredible books… I’ll see if I can make a dent in them this fall.